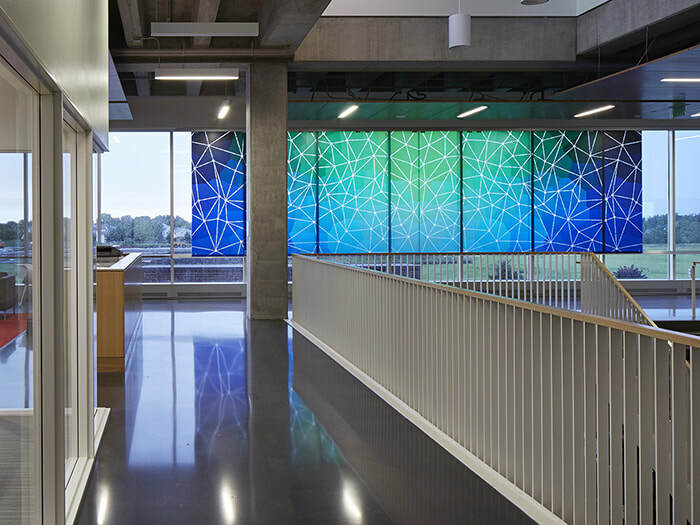 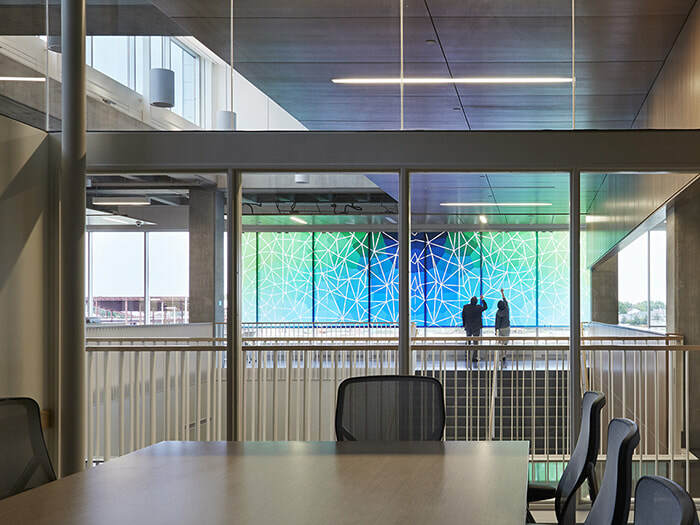 40' x 9.5' x 1.4"
Affinities is a vibrant, interactive sculpture that glides along the second floor curtain wall at the new Bioscience and Health Careers Center. 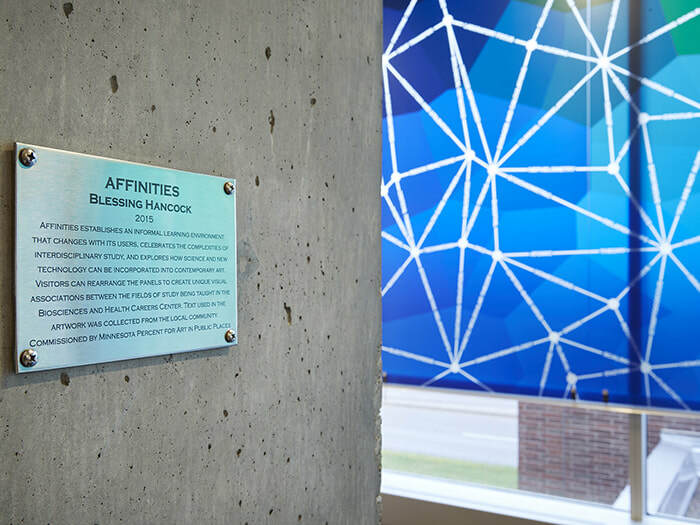 The artwork highlights connections between the many Bioscience and Health career paths by displaying a customizable ‘network of associations’ related to the various fields of study. 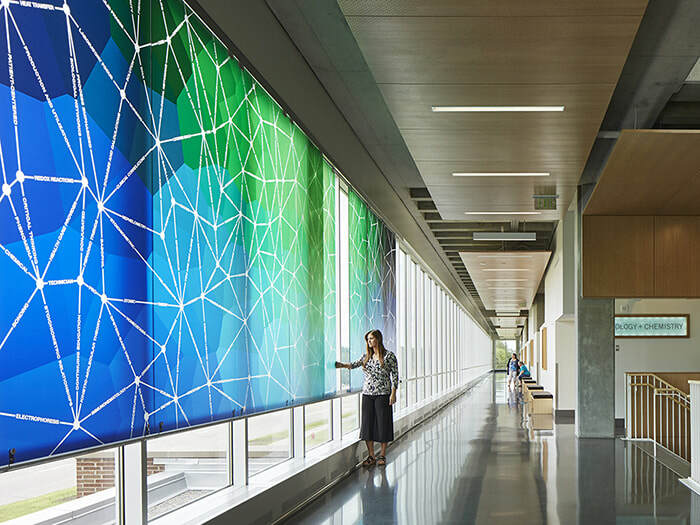 The artwork consists of a series of movable panels that visitors are able to arrange into various positions.